Greetings from the Consumer Electronics Show in Las Vegas where there are over 3,500 exhibitors and over 170,000 attendees! The show is big — it brings in $210M to Las Vegas’ economy. The first event for the media was “CES unveiled”. About 150 of the 3,500 exhibitors had a special show for the media for 3 hours, just so they could give an early report of all the fascinating stuff to be found there. It was a bit of a zoo with thousands of media trying to get their own angle on the various products exhibited. Yours truly was there to get that sneak peek. And yes I had my own favourites! 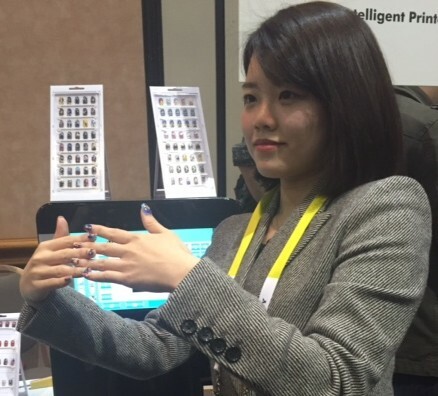 Here are the top five interesting (read unusual) products from the early CES unveiled. All prices are in US dollars. Let me start with the most unusual use of 3D printing. The Inail is an intelligent 3D nail printer. It lets you design your own pattern for your artificial nail. It operates via a smart phone and tablet. The artificial finger and toe nail patterns are available in various sizes at a cost of $29.95 per set. The printer is a bit more expensive at $2,800 and I’d guess it is primarily aimed at professional nail salons. 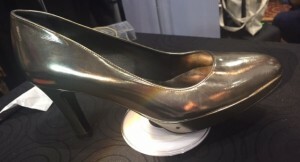 One of the most popular booths was the digitsole — a connected and interactive shoe sole that counts steps, warms your feet (controlled by your smart phone) and is shock and water proof. It comes as an insole or built into the shoe like the one in the picture below at a cost of $350. 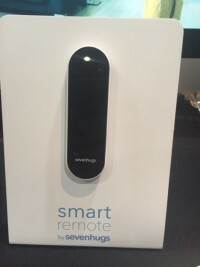 Smart Remote from Sevenhugs comes from a French startup. This product is a “contextual” remote control device that can control up to nine devices such as thermostat, TV and stereo. It uses Wi-Fi and does not need direct link between the device and the remote. The device is planned to be released sometime in the next three months. No price point was given. 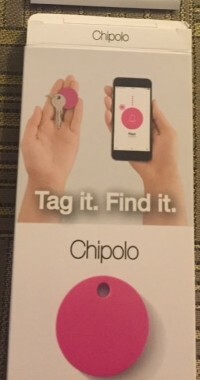 The Chipolo is a coin-sized item finder that connects to your smart phone. As someone who often misplaces her iPhone, this device was of special interest to me. It works in a 60 metre range and the tagged item can be located through a sound it omits or on a map or through a message on its last location. At a cost of $29.95, it is one of the few devices I may get. There were lots of cameras on display, both video and still. In my humble opinion, the cutest one was the Pic, it has a long flexible stem which can be wound around objects in the style of a bracelet. It is waterproof and can take up to an hour long video, but is a bit pricey at $149. Stay tuned for my next report on the weird and wonderful things at the 2016 CES!